1comment 2019-04-15 09:56:05 source:China Fund News The second beauty energy comes! This year, in addition to initiativeEquity fundThe effect of making money is highlighted. The rise in the stock market has also led to a rapid rise in the price of convertible bond assets. Many convertible bond funds have achieved good returns. 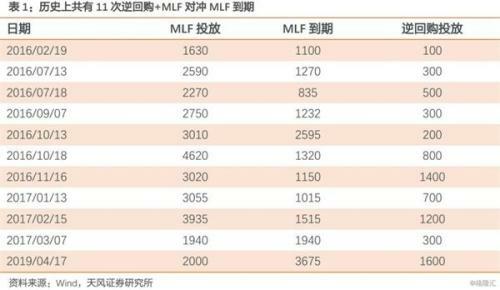 However, in the stock market adjustment expectations, the average price of convertible bonds is approaching 120 yuan, and the premium rate is high now.Fund managerIt is believed that the cost performance of convertible bond investment is declining, and some stock convertible bond funds have already “striking and withdrawing”. The rise in the stock market this year has allowed the convertible bond fund to reap good gains. 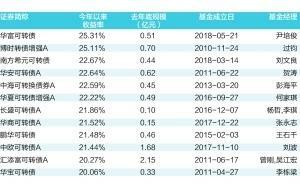 The data shows that the current 44 convertible bond funds with statistical data (the combined calculation of A and C shares) have an average yield of 13.55% this year.Huafu Convertible Bonds, Bo Shi converts debt to enhance A twoFund yieldMore than 25%, do not lose a lot of active partial stock fund income. Among them, there are as many as 12 convertible bond funds with a yield of more than 20% this year, accounting for 27.3%. And Yinhua CSI Convertible Bond Index Enhanced B, Soochow CSIConvertible bondB two investments can be transferredBond marketFieldGrade B fundThe yields this year are as high as 71.04% and 68.04% respectively. However, while the money-transfer effect of the convertible bond fund is fermenting, the rise in the price of convertible bonds and the high premium rate have also raised concerns among the industry. A medium-sized public fundraising fund manager in Beijing believes that the current share of the convertible bondsMedium and smallStocks dominate, such stocks are stronger and weaker. In the current market position, the volatility of convertible bonds is similar to stocks, and most of them are in a high premium state, and the holdings are also in a state of loss. The fund manager analyzed that many convertible bonds set the maturity redemption clause and the conditional redemption clause, if during the conversion period,Listed companyThe stock price has risen more than 30% of the current conversion price for 30 consecutive trading days or at least 15 trading days. The listed company has the right to decide to redeem the convertible bonds that have not been converted by the face value of the bond and the current interest price. Shares will also suffer. The fund manager said: "A lot of convertible bonds have stipulated that after 6 months of listing, they can convert shares, and set a mandatory conversion clause for the increase of positive stocks. At present, many convertible bonds have reached 120 yuan, and continue to hold Some price/performance ratios are not very high." The data shows that as of the close of April 12, the average price of 153 convertible bonds was 117.1 yuan, and the average conversion premium rate was 17.2%. 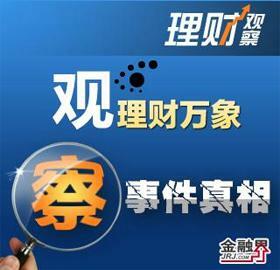 Among them, up to 46 convertible bonds with prices above 120 yuan; 95 can be transferred. The yield of debt holdings is negative, accounting for up to 62.1%. 17 Tongkun EB and special convertible bonds have a yield of more than -10%. A second-time public fundraising executive in Beijing also said that the current convertible bond price is indeed somewhat high. Many convertible bond prices are above 120 yuan, and the premium rate of convertible bonds is also relatively high. Moreover, even if the stock market continues to rise, the price of convertible bonds will rise to the price of the underlying stocks. However, once the market is adjusted, the convertible bonds with poor liquidity may lose their floating profits. Therefore, the stock convertible bonds of his company are “withdrawn and withdrawn”. Gradually withdrawing from the market, holding a coupon is also focused on excellent selection. In his view, last December and the beginning of January this year is the best investment opportunity for convertible bonds.Bond investmentFrom the point of view, it is better to participate in volatile convertible bonds, and do not sink ratings to make credit bonds. "If we look at the investment logic of credit bonds, the loosening of money and the process of loosening wide currency to wide credit will lead to a rebound in the economy, triggering a sustained improvement in the stock market. In the process of rebounding credit bonds and convertible bonds, it is highly flexible. The return on convertible bonds is much higher than the decline in credit bonds." In addition to the analysis of the market value of convertible bonds, there are also many people in the industry who are concerned about the poor liquidity of the convertible bond market and the negative impact on investment. 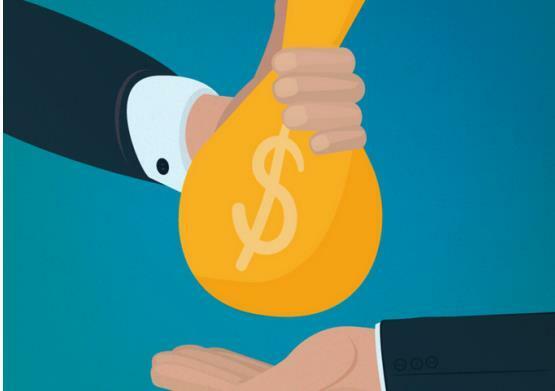 The above-mentioned Beijing fund managers believe that the current liquidity of the convertible bond market is relatively poor, and the liquidity of small convertible bonds is only a few hundred million. In some small convertible bond transactions, the number of opponents is scarce, and the difficulty of trading operations will increase. The above-mentioned sub-new public fundraising executives also said that the overall opportunity for the current convertible bond market is not very good. Unless there is a big bull market in the future stock market, the average historical price of convertible bonds will reach 130 yuan or more. If the stock market is adjusted in the future, the liquidity of the convertible bonds will be poor, and only the price will fall. Some industry insiders believe that the market demand for convertible bonds is large, and the expansion of the market and the improvement of the stock market have also contributed to the liquidity of the convertible bond market. A general manager of a medium-sized public fundraiser in Beijing said that his current public offering has a fund that favors convertible bonds and has earned a good return for investors this year. This year's convertible bonds are still generally undervalued: on the one hand, convertible bonds are less volatile than stocks, and earnings are higher than pure bonds. Although the market is sluggish and lacks liquidity, liquidity will be better when the market rises; On the other hand, his public offering is combinedQuantitative investmentTo select the convertible bonds, the current risk-to-income ratio of convertible bonds is still relatively high. Although the convertible bond price is higher, the convertible bonds are still relatively good risk-return investment products. In fact, the scale of convertible bond issuance has indeed expanded rapidly this year. The data shows that as of April 12, the number of convertible bonds announced and issued this year has reached 56, and the total planned issuance scale reached 146.617 billion yuan, which is 84.76% higher than the total size of last year. among them,CITIC Bank(Quotes601998,Medical stockThe scale of issuing convertible bonds is as high as 40 billion yuan.Ping An Bank(Quotes000001,Medical stock),Bank of Jiangsu(Quotes600919,Medical stock) The issue of RMB 26 billion and RMB 20 billion respectively, and the issuance of convertible bonds of the three banks reached RMB 86 billion, close to 60% of the total issued size. The stock price is approaching the conversion price. The two listed brokers are expected to “freeze” the convertible bonds. The new definition of severe illness and disease is coming. Thyroid cancer should be left to pay attention. One day, two big bad debt markets are in the dark. The total amount of Shanshui Cement default bonds has been paid more than half. The investors have been waiting for three and a half years. The tens of billions of large funds frequently appear. The yield of brokerage wealth management products is as high as 6%. Continued fermentation of the dam failure in the Vale, where is the front of the iron ore? Mining ore is not necessarily a "mine" or a "trap"
4 Xingquan is suitable for Q1 to significantly increase the position by 21%. 5 The fund's quarterly report is released, and the layout prefers the industry leader. 8 The first quarterly report of the fund was unveiled as a fund manager in Wuliangye and other industries. 10 The central parity of the RMB against the US dollar was reported at 6.6911 yuan. Trust company Trust company A-Anhui Guoyuan Trust Co., Ltd. A-Anxin Trust Co., Ltd. B-Bai Rui Trust Co., Ltd. B-North International Trust Co., Ltd. B-Beijing International Trust Co., Ltd. B-Bohai International Trust Co., Ltd. C-Changan International Trust Co., Ltd. C-Chongqing International Trust Co., Ltd. D-Dalian Huaxin Trust Co., Ltd. D-Daye Trust Co., Ltd. D-Dongguan Trust Co., Ltd F-Founder East Asia Trust Co., Ltd. G-Guang Daxing Trust Co., Ltd. G-Guangdong Yuecai Trust Co., Ltd. G-Guo Lian Trust Co., Ltd. G-national trust co., ltd. G-National Investment Trust Co., Ltd. H-Hangzhou Industrial Trust Co., Ltd. H-Hunan Provincial Trust Co., Ltd. H-华澳国际 Trust Co., Ltd. H-Huabao Trust Co., Ltd. H-Huawei Trust Co., Ltd. H-Huaenggui Trust Co., Ltd. H-Hua Rong International Trust Co., Ltd. H-China Resources Shenguotou Trust Co., Ltd. H-Hua Xin International Trust Co., Ltd. J-Jilin Province Trust Co., Ltd. J-Jianxin Trust Co., Ltd. J-Jiangsu International Trust Co., Ltd. J-Bank of Communications International Trust Co., Ltd. K-Kunlun Trust Co., Ltd. K-Lujiazui International Trust Co., Ltd. P-Ping Trust Co., Ltd. S-Shandong International Trust Co., Ltd. S-Shanxi Trust Co., Ltd. S-Shaanxi International Trust Co., Ltd. S-Shanghai Aijian Trust Co., Ltd. S-Shanghai International Trust Co., Ltd. S-Sichuan Trust Co., Ltd. S-Suzhou Trust Co., Ltd. T-Tianjin Trust Co., Ltd. W-Wanxiang Trust Co., Ltd. W-Minmetals International Trust Co., Ltd. X-Western Trust Co., Ltd. X-Tibet Trust Co., Ltd. X-Xiamen International Trust Co., Ltd. X-Xinhua Trust Co., Ltd. X-Xinjiang Great Wall Xinsheng Trust Co., Ltd. X-New Era Trust Co., Ltd. X-Xingye International Trust Co., Ltd. Y-British International Trust Co., Ltd. Z-Yunnan International Trust Co., Ltd. Z-Zheshang Jinhui Trust Co., Ltd. Z-China Credit Trust Co., Ltd. Z-China Foreign Economic and Trade Trust Z-China Golden Valley International Trust Z-China Minsheng Trust Co., Ltd. Z-China Shipping Trust Co., Ltd. Z-China Aviation Trust Co., Ltd. Z-China Construction Investment Trust Co., Ltd. Z-Zhongjiang International Trust Co., Ltd. Z-COFCO Trust Co., Ltd. Z-Zhongrong International Trust Co., Ltd. Z-Zhongtai Trust Co., Ltd. Z-China Railway Trust Co., Ltd. Z-CITIC Trust Co., Ltd. Z-Central Plains Trust Co., Ltd. Z-Zijin Trust Co., Ltd. The Shanghai Stock Exchange monthly line three gold forks appear, ?1? Naughty Tianzun: Small spire test? 1? Will the market have double heads? The two cities opened up and re-emerged, and the fuel cell market continued to reproduce the daily tide.